The objective of this tutorial is to teach you relatively quick and statistically clean methods to conduct summative usability testing on software. Such testing is conducted when the software is in beta or near-production release. The methods reflect real-world laboratory and remote testing processes, and are adapted from ISO25062:2006, Common Industry Format for Usability Testing. This course will provide methods to answer the question of how usable a given product is, in both quantitative and qualitative terms. It will give students effective strategies and standards for planning and scheduling usability tests, collecting and analyzing the data, and reporting to customers, developers and other stakeholders. The hands-on exercises give a "feel" for what it is like to conduct a real test. The instructor brings a wealth of industrial research experience to answer student questions about specific challenges of real-world usability testing. Intermediate-level UX research professionals, software designers, product managers, marketing managers, and consultants will benefit most. This course assumes students are familiar with various formative testing methods and are ready to go to the next level of usability assessment methodology. Anna Wichansky Ph.D CPE is an applied experimental psychologist who specializes in the study of how users interact with new technology. She has an M.S. and Ph.D in human factors from Tufts University, Medford, Massachusetts, USA and A.B. from Harvard University, Cambridge, Massachusetts, USA in psychology. She has researched, developed, and tested user interfaces for transportation, telecommunications, space exploration, electronic instrumentation, computer hardware, software, graphics, and media products. She has a patent for a remote control for interactive television. 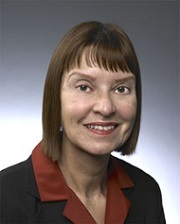 She worked at the U.S. Department of Transportation Research and Special Programs Administration, Bell Laboratories, Hewlett-Packard, and Silicon Graphics, where she founded the Customer Research and Usability group. At Oracle, she founded and directed the Corporate Usability Labs and the Advanced User Interface Research group. She is currently Senior Director of Applications User Experience. Anna is a Fellow of the Human Factors and Ergonomics Society and former director of the Board of Certification of Professional Ergonomists. She is on the editorial board of the international scientific journal Ergonomics. She is a frequent presenter at HCII, ACM SIGCHI, and HFES annual meetings.